It is obvious that e-commerce business management is not that easy as one might think, however, we would not say that it is too hard to handle either since there are numerous Magento modules which assist you in making your business successful. In this article, we have prepared a Magento 2 tool which is able to make a considerable contribution to smooth functioning of your webstore. 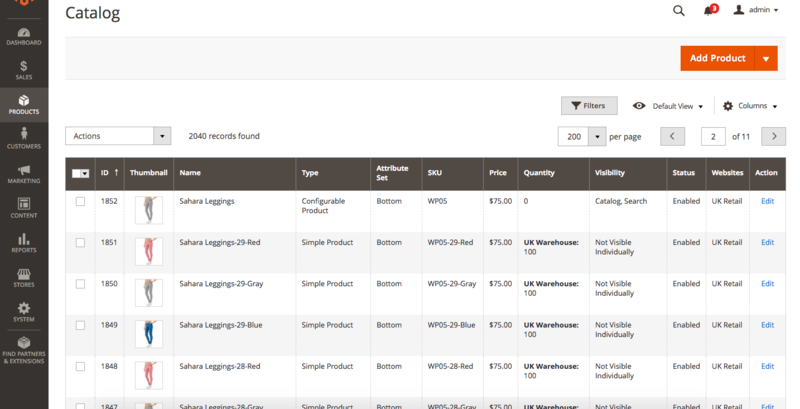 Aitoc Multi Warehouse Inventory Magento 2 Extension is a inventory management solution which automates, optimizes, and facilitates different processes related to e-commerce website administration. As we know, the out-of-the-box Magento 2 platform provides neither multi warehouse feature nor the ability to assign products to suppliers, however, with the module assistance, you are able to extend the default platform functionalities, thus simplifying your life. 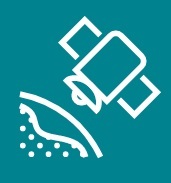 Once you install the extension, you will be able to easily and efficiently effectuate restock operations: tracking the products which possess the status of being “low-stock”, and automatically add new items when product quantity gets to the minimum critical level (which is actually defined in module configurations). Besides, the multiple warehouse extension facilitates the process of ordering products from your suppliers. Thus, in case, a product of yours reaches a low stock status, you are able to inform your partners on the situation, sending an email letter right from the backend of the Magento 2 module. 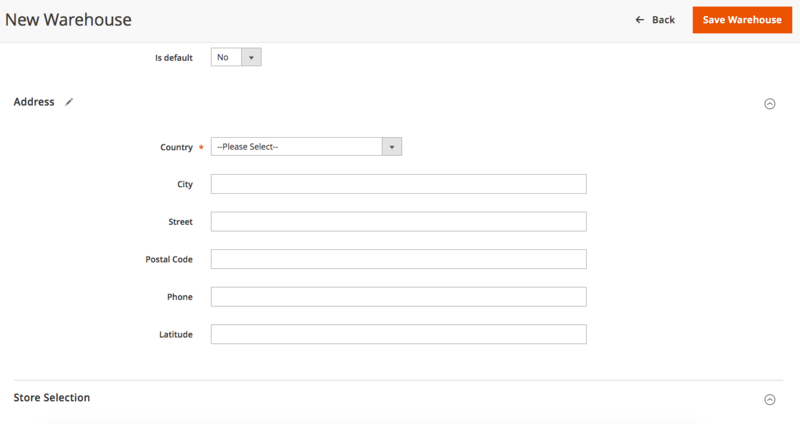 Having installed the Aitoc Multi Warehouse Inventory Magento 2 Extension, you will not have to worry about the limited number of warehouses for the module allows you to create as many warehouses as you wish. Besides, with its help, it is possible to manage your stock by different customer groups and store views, thus, making a huge contribution to stock operation optimization. 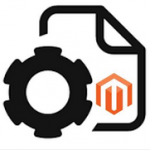 Apart from it, as we have already mentioned, the Magento 2 tool will help you automating different processes on your website. 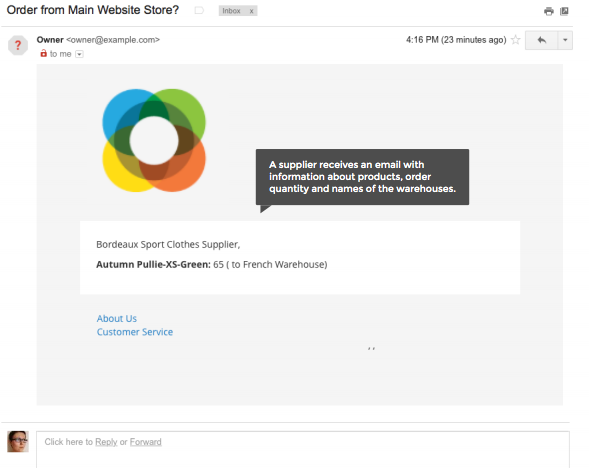 As a result, the warehouse selection as well as low-stock email notifications can be fully automated. Earlier, we have compared different multi warehouse extensions which, basically, have the same goal, however, still apply different approaches to reach it: Magento 2 Multi Warehouse Modules Comparison. The Magento Multiple warehouse extension allows you to create an unlimited number of supplier companies which provide you with goods and make sure you have enough stock in your warehouse. 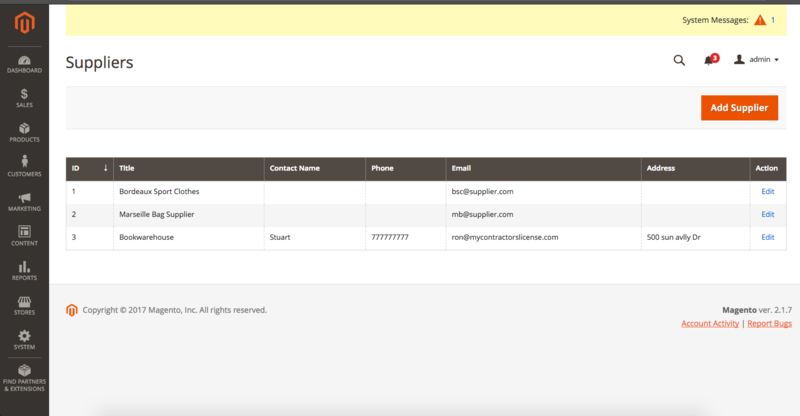 With the module assistance, you are able to easily assign a certain product in your webstore to a specific supplier company as well as make an order request from a certain warehouse to a particular supplier company. As a result, the supplier management process becomes easier than ever. However, apart from the things mentioned above, once you install the tool, you will also be able to configure email letters automation, thus providing your warehouse managers and suppliers with thorough data on the details of products ordered. And, as it has been pointed out earlier, you will enjoy the extension integration with the order processing software of your suppliers, thus, dramatically reducing the efforts and time required to place orders. However, we should mentioned that it requires custom development. 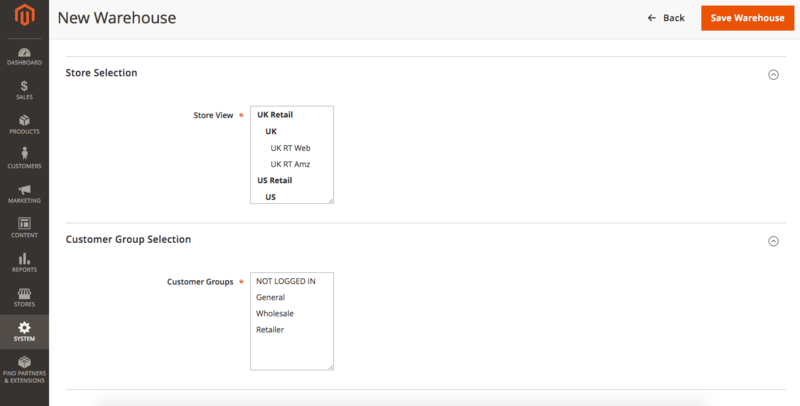 So, in order to avoid the out of stock issues, the Multi-Location Inventory Magento 2 Extension allows you to define a certain minimum critical level, which also often called ‘Par Level’, for your SKU quantity, thus providing you with all the necessary facilities not to let stockout happen. Apart from it, in the module configurations, you will have to determine a safety stock, which, in essence, is an amount of products that allows you to continuously effectuate webstore operations in a stable manner, ensuring you have enough stock. Subsequently, once your previously-defined Par Level takes place, the extension automatically sends an email letter to your warehouse managers for them to know what products you need and their quantity. 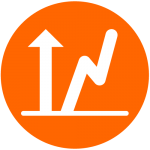 For the module calculates order quantity in an automatic fashion, by comparing the available stock and safety stock figures. However, we can assure you that won’t have any trouble with the restock operations management since the Magento 2 tool comes with an intuitive Par Level grid which clearly displays which products are approaching the Par level line and which ones have already got over it. 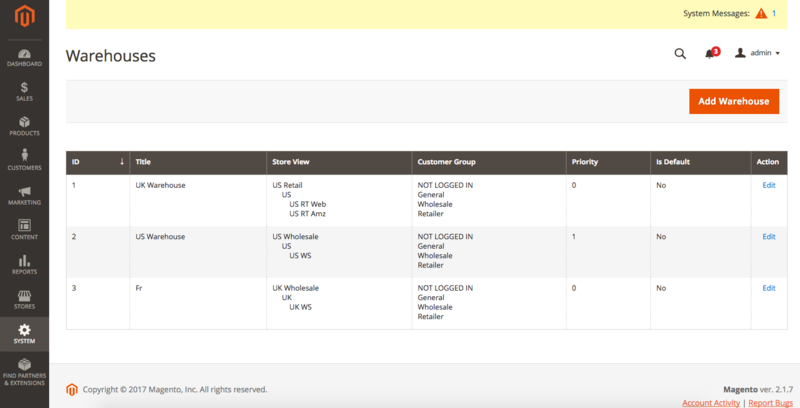 In order to start managing your multiple warehouse, go to the backend of the module. Once you click on ‘Warehouses’, you will get to the section where all warehouses are created and managed. Subsequently, you will get to the Warehouse grid, on which are you able to add a new warehouse or edit the existing ones. Besides, the grid display the information on title, store view, customer group, priority as well as status of each warehouse. 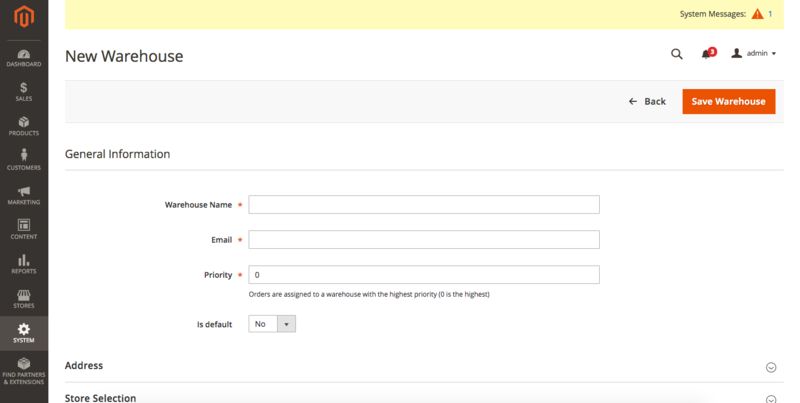 Having clicked the “Add Warehouse” button, you get to the following page on which you are to define warehouse name, email, priority as well as its status. 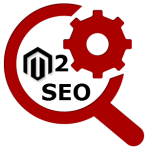 This information will help you automate different processes related to inventory management. Besides, you will need to insert warehouse address and contact information: country, state, city, street, postal code, phone, latitude. Then, you are to select a store view(s) and customer groups to which you would like to assign the warehouse which is about to be created. However, when you decide to create a new supplier, simply go to the supplier section. Having clicked to the “add supplier” button, you will get to supplier creation page. Here you are to fill in the title, contact name, phone, email, and address fields. 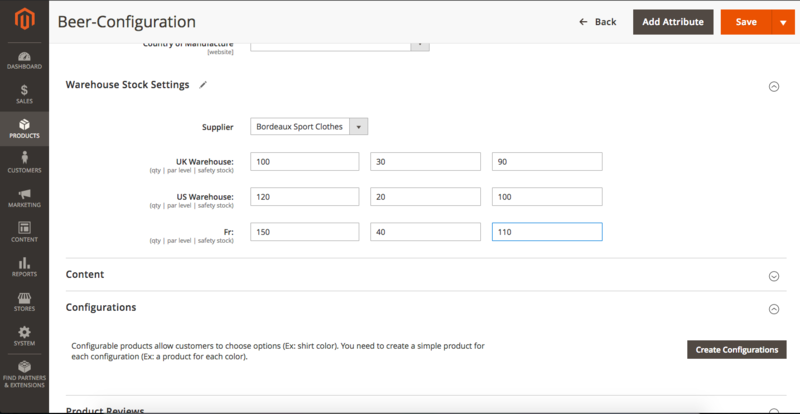 Besides, you need define whether you want to send order notifications to your supplier once you need to make a restock order. In the section of Product, choose an item on the product grid to edit it. There, you will find Warehouse Stock settings, in which you are able to select the supplier of the product and set up Par level, quantity as well as stock safety for each of your warehouse. After module installation, in the product grid, you are able to see the stock availability in each warehouse. In the Par level section, you are able to order products the quantity of which reaches par level. In this grid, you can see the information on product name, SKU, Supplier, Warehouse, quantity available, par level, and safety stock. 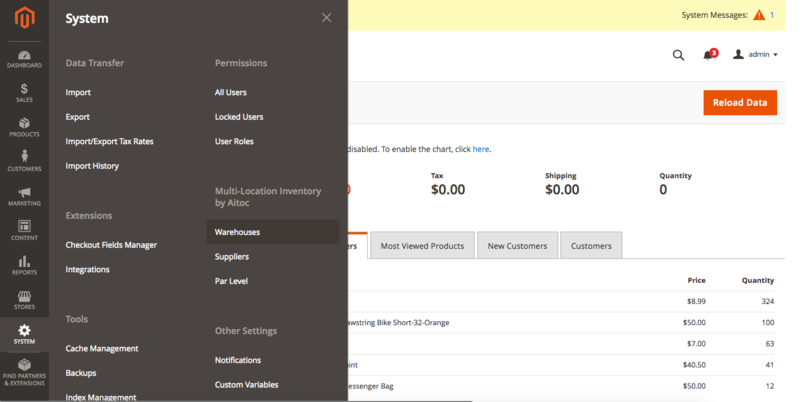 The Magento 2 extension automatically calculates the quantity to order, having the data on quantity available and safety stock. In the very section, it is possible to filter all the products by supplier and warehouse, thus it becomes way much easier to find the necessary items. To make an order, simply choose the product you lack, then click on the “action” drop-down menu, and select ‘order’. 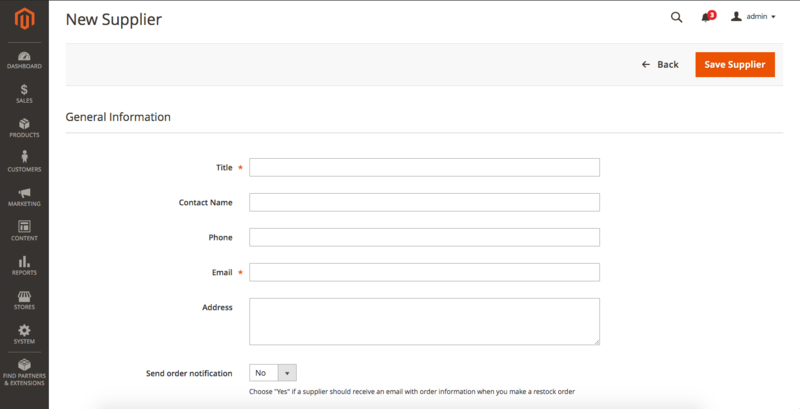 Once you click “order” in the drop-down list, an email with all the necessary data will be sent to the warehouse: information on product, order quantity, supplier name. Your supplier gets an email letter as well with the all information listed above. 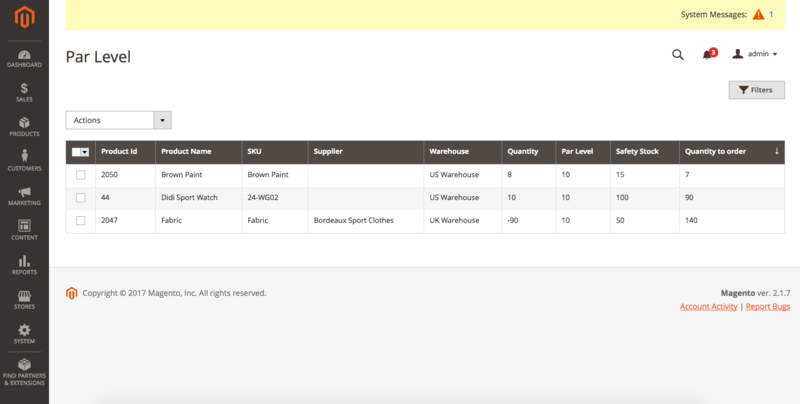 Later on, when you get to Sales -> Orders -> Choose order, you still will be able to change a warehouse in parameters. Consequently, we can definitely state that with the assistance of the Magento 2 tool mentioned above, you are able to make a considerable contribution to the way your webstore functions, automating and optimizing various processes related to the inventory management. Therefore, we do recommend you to leverage the features the Aitoc Multi Warehouse Inventory Magento 2 Extension offers to e-commerce business owners, for it is a great to save your efforts and time, and the instrument effectuate restock operations instead of you. The price of the Community Edition version is $349, including free 6 month-update, free email support, and 30-day money back guarantee. Meanwhile, the Enterprise Edition costs $649, but you get free bugs life-time services, PRO installation, 12-month update free of charge, and email support. In case, there is still something you would like to know about the module or you would like to share your opinion about its functionality, please follow the link below.